We’ve been in a drought as bad as the one Ostara put on Earth in season one when it comes to American Gods. Luckily, the wait is almost over! Check out the teaser trailer for season two here! It’s time to start preparing your sacrifices! American Gods will return to STARZ in 2019, and thank the (Old) Gods for that! We’ve been missing this series! STARZ released a small teaser for the second season, and I’m more excited that ever! We even get a first glimpse of our new Media, Kahyun Kim, in action! Whoa buddy! Shadow Moon is in for a ride this next season! I love that we’ve laid the foundation in season one for this season to take off out of the gate. Old Gods vs. New Gods. Bilquis is a secret weapon, though. How will she play the Old Gods since she’s been sent as a spy by Tech Boy? She owes the New Gods a lot, but will she remember her roots? Can we assume that Shadow and Odin have come to some agreement since he’s still with him after what Odin did to Laura? Will Orlando Jones get more screen time because his Mr. Nancy is severely underutilized in the first season. And the biggest question of all, will my ship sail and Mad Sweeney finally get with Laura Moon because I ship that like crazy. Oh, and Ian McShane is incredible as always! 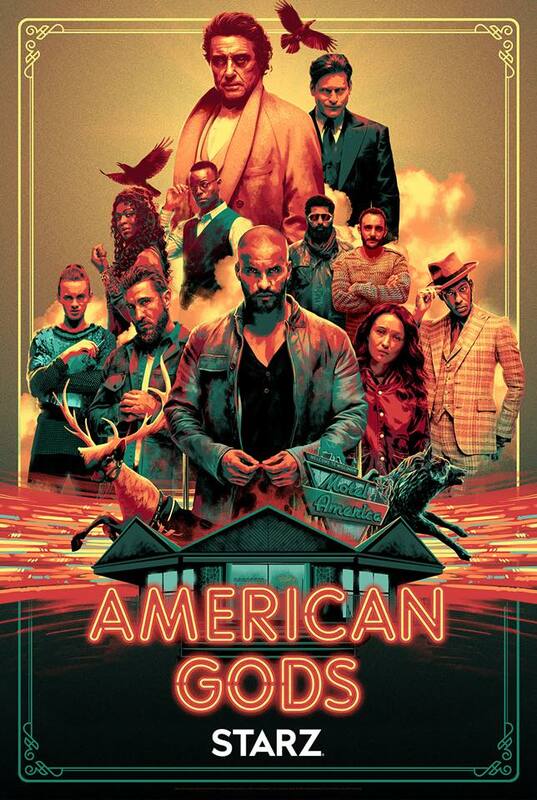 What are you looking forward to on season two American Gods? American Gods will return to STARZ in 2019.